IAP 18: Tony Reali on faith, food, and fatherhood, Part 2 of 2. 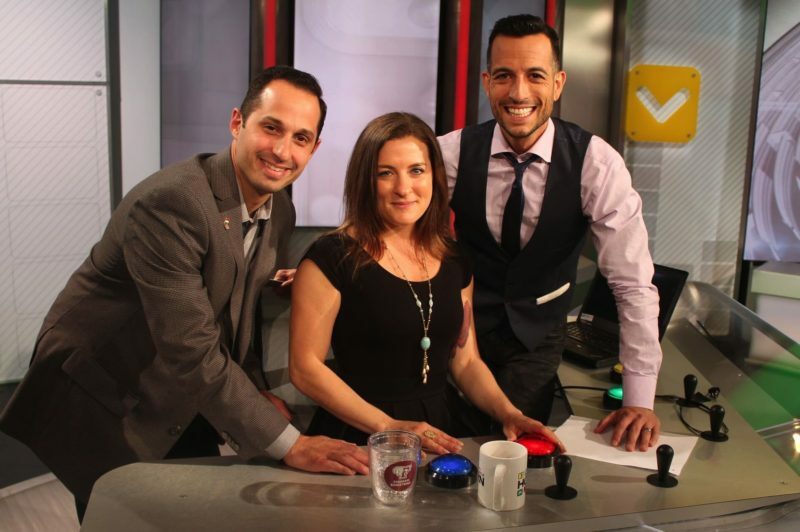 Anthony and Dolores (left) on set with Tony Reali (right) at “Around the Horn” studios. This episode features the second part of our two-part interview with Tony Reali of ESPN’s “Around the Horn” (you can listen to part 1 here). In this episode, Reali talks about his faith, including wearing ashes on his show, his diet that has caused some stress for him with his family, and also his thoughts on fatherhood. 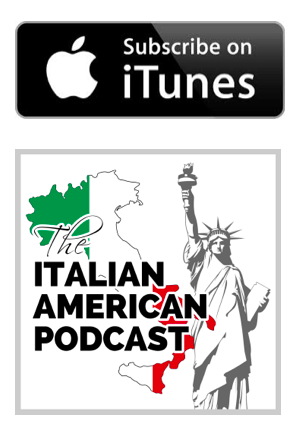 We also celebrate fathers on this Father’s Day in our Italian American Story Segment at the end of the episode. Tony Reali joined ESPN in July 2000 and in September 2001 became researcher for ESPN’s “Pardon the Interruption,” a role that evolved into daily on-air appearances correcting factual errors by co-hosts Tony Kornheiser and Michael Wilbon at the end of each show. In February 2004, Reali was named host of “Around the Horn,” a show for which he had been a regular fill-in host and guest panelist. Prior to joining ESPN, Reali was sportscaster for WFUV 90.7 FM at Fordham University, serving as the voice of the men’s football and basketball teams and hosting New York City’s longest-running sports call-in show. He also served as beat reporter for the New York Yankees, Mets, Giants, and Jets. Trying to keep traditions going. How diet restrictions can cause stress in Italian-American families. Wearing ashes on television, and how public of a thing that is. The importance of understanding what you believe in. His experience with wearing ashes on the air the first time, 15 years ago. How values can guide you in your life. Raising kids in today’s world and educating them about their background. Tony tells the story of his engagement. Anthony discusses appreciating your fathers and grandfathers on Father’s Day. Don’t take them for granted. Dolores and her sister Anna talk about the experience of Father’s Day after you’ve lost your father. They talk about growing up with a traditional Italian father, and dealing with the loss of your father.